We’re located in the Buffalo area! 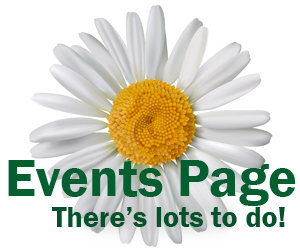 We post events for free for nonprofit organizations and for advertisers. You can e-mail the information to me at Connie@BuffaloNiagaraGardening.com. Please make sure to include the address of the place where you are meeting; people may be coming from other towns and not know where a community center or church is located. The information I need is what the event is, time, day, date, place and address. Optional: If you have someone who is willing to respond to questions about the event from our readers, include a phone number or e-mail address to be included in the post. Include other information that is relevant to the event. Please send information only for events that are open to the public. You don’t have to wait to send us your information; you may send us all of your dates for the coming year at one time if you like. We try to post the information as soon as we get it. We publish the magazine on Tuesdays, so make sure you get an event to us before the Monday preceding your event. Connie I am having difficulty subscribing to your gardening website…….please advise. I’m so sorry you’re having difficulty. If you tell me what your Zip Code is, I’ll register you myself. Can you tell me what went wrong so I can fix it for others? I’ll contact you directly by e-mail. Thanks for letting me know. I’m so sorry you had problems signing up. Thank you for letting me know so I can investigate. In the meantime, I have added you to our list. The Hummingbird spring migration is in full swing right now and there have been several reports in and around Western NY. Remind your viewers if they haven’t already hung a feeder to please do so since there are so few natural nectar sources available yet due to the long cold spring we have had this year. Several of the early spring plants that they use here are not blooming yet. My first male showed up May 4th at 7:11 in the evening and he must have been in need of some instant energy as he made about 6 visits to the feeder before dark while he was perched in the bushes right next to the feeder. This is a stressful time for hummers having to locate food sources after such a long journey. I would also advise your readers NOT to use the commercial nectar mixes as we are not sure what affect the red dye has on these tiny jewels. It is just as easy and much cheaper to make your own from 1 part plain wbite granulated sugar and 4 parts water. No other ingredients are needed nor safe to use. Thank you Connie for a wonderful local gardening ezine. Hi Connie, Thanks for taking the time to come out to Holland for our flower show. Your pictures are lovely. President of H.G.C. and chairman of our flower show. I love the stacked clay pots. Is it made using a straight piece of rebar? I am in Texas and this project looks like a great way to have a vertical herb garden. I’m on my way to the home improvement store now! If you have a weekly email that you send out, please put me on your mailing list. Absolutely! I’m looking forward to the Starry Night Garden Tour, which is part of the Black Rock & Riverside Tour of Gardens. Last year I covered the daytime portion of the walk because I knew that I wouldn’t be able to get usable photos at night with the camera I had. This year I have a digital SLR or manual camera, and I can take photos in low light. I was pleased with the photos I got at the Ken-Ton garden walk. I understand they got the idea of doing a nighttime walk after going on your tour. Don’t forget to subscribe. It’s free to subscribe, and when you subscribe, the newest issue is emailed to you every week! i would like to be sent your newsletter – a friend at work has shared this and i love it! Just want to wish yu a very Merry Christmas and to congratulate you on a wonderful job you have done with the Buffalo-Niagara Gardening website and newsletter. Winter Solstice begins on Dec. 22 and after that the days will start to slowly lengthen and rift toward spring! I was just thinking of you the other day! Thanks so much for your kind words! Will you let me know when it’s time to put up feeders back up for hummingbirds in the spring? The weather may get colder as winter progresses, but the days grow longer, and that sunlight means so much to me. Thanks for reminding us! I have two quite lovely healthy looking schefflera plants, each about 5-6 years old. Have noticed over the past two year much sticky dripping from these pretty plants. Drips onto other surround plants, etc. stickiness but the plants all remain healthy looking. Can I continue to ignore or is it something horrible that will destroy my lake room jungle. HELP!! Dale, I don’t really know what’s going on with your plants, but I’ve contacted a master gardener from Cornell Cooperative Extension who is looking into the problem. I’ll let you know when I hear back. Now that the insects have found your plant, you need to get aggressive with kicking them out. If the weather remains warm, move your plant outdoors to a shady protected location. Give your plant a weekly shower first with water, then using either insecticital soap or a homemade version of six tablespoons of rubbing alcohol, a few drops of dish detergent, added to a gallon of water, Spray the leaves once a week making sure to include the undersides of the leaves and soil. This should be done for a few weeks or until they are gone. After it looks like things are inproving, you may want to change the soil before bringing the plant back into the house. Thanks so much for that great answer. The master gardeners at Cornell Cooperative Extension are so helpful! I have three rose bushes that I want to transplant. Any suggestions to how I go about doing this and any fertilizers I should use? Also should I cut them down to 2 to 2 1/2′ prior to the transplant? Great questions. I will include them in tomorrow’s issue and see what information we can get for you. Thanks for writing. Has anyone else ever dealt w/ these guys? one stop @ the shop & I went from newbie to having a clue. I hope that sharing this info isn’t a problem. I’m a newbie to this site, but I thought that I’ld share the following experience since I benefited so much from it. last week for the first time. I spoke w/ Chris (or should I say Professor Chris PHd (proper hydroponics defined)) regarding the many problems that I was having w/ my hydroponic setup. Let me tell you that I was blown away by the level of service and knowledge that this guy gave me. Chris basically set me straight and gave me the knowledge & tools to resolve my many issues / problems that I was experiencing with my setup. He explained to me the in’s & out’s of correct PH level, how to correct the PH Level, what types of lights/lighting that are best for my needs (LED, Metal Halide, HID, HPS, etc. ), overall design options, energy costs of a hydroponic setup, insect & spider mite indentification and problem solution, nutrients (including when & how to use throughout the growing & flowering cycle), what hydroponic medium I should be using for my setup, the options for air filtration including systems that use activated Carbon & charcoal, the different kinds (including the best) of hyroponic pumps that were available, etc. With in 8 days from the time that I spoke w/ Professor Chris & following his instructions I have seen an incredible improvement in my setup. I’m telling you that Buffalo Roots is passionate about hydroponics, gardening, and making this world greener even if it is only happening one customer at a time. It literally only takes about 20 seconds (or less) to realize how much these people care and the high level of hydroponic growing knowledge that Buffalo Roots has to offer. Oh ya, I forgot to mention the best part, I never even felt like I was talking to a sales associate or had a type of product pushed on me. To sum it up I felt like I was dealing w/ my own private technical support team who actually know what they were supporting! Professor Chris, I just want to thank you for saving my investment and helping me get back on track. Let me know if you ever publish a book on hydroponics (if you haven’t already) – I’ll be the first inline to purchase it. Just wanted to post an update regarding the progress of healing my sick hydroponics setup. It has been over two weeks since I stopped into Buffalo Roots Hydroponics & Organics, speaking w/ Chris (my new Go To guy) & following his instructions. I now have my PH level at 6.3, no more burnt plants and I’ve noticed a vigorous increase in growth. FYI for you Hydroponic newbie’s, burnt plants can often be caused by not having the correct balance/level of nutrients. I’m an obvious NEWBIE who is on a steep learning curve. Prior to talking w/ Chris, I thought that the burnt appearance of the plant leaves was caused by lighting ( can be a cause, but not in my case). But, by adjusting the nutrients that I was adding to the system, my plants have responded incredibly well. I’m starting to get really excited now that there is very strong possibility that I’ll be enjoying fresh home grown veggies all through this winter. I’m looking for specific info on ideal humidity level, ph level, growing mediums, terrarium setups, H2O (when to water & how much), levels of light (what amount is too much or too little), etc. I’m particularly interested in the British Soldier Lichen. Also, has anyone ever had any luck w/ gathering & germinating Lichen and Lycopodium spores. I have heard about recipes that use buttermilk, oats(oatmeal), yogurt, etc mixed with the lichen to make a type of shake/slurry that is applied to rocks or wood. Again, any info on light conditions, humidity, ph levels etc. including recipes will be greatly appreciated. I am aware that lichen is very sensitive to pollutants & toxins in both the air & soil. Interesting question. I don’t have any experience growing lichen. I’ll post this as a question in our next issue and see if some of our readers can help us out. When do I cut scapes? If & when do I fertilize my garlic. When do I harvest. I don’t fertilize my garlic. Mix some nice compost in you soil and you should be fine. I did what you suggested and got another email address other than my work one. Please subscribe me to your Gardening website. Sharon, you’re all set. I’m taking my usual short winter break, so you’ll get the next issue on Jan. 21. You can see a list of the garden clubs in the Eighth District’s website. They also have a list of plant societies. Find the African Violet and Gesneriad Society of Western New York here. Find the Western New York Herb Study Group here. The Town of Amherst is no longer an inexpensive source for bulk compost. Do you or the readers have any suggestions on where go? CJ Krantz took over the Town of Amherst operation, so you might try them. Transcandentia (spiderwort). Have several, love them but they close bloom in late afternoon. Anything I can do to extend the bloom time or is it just the nature of the plant? When should they be cut back to bring a new young bloom? Thanks. Hi. Do you have any advice for what to mulch a potted rose with for winter? I have an OSO Easy “Italian Ice” in a 16″ pot that I planted this June. In the past, I’ve used leftovers of hay from my pet rabbit piled up several inches, but I’m worried that’s not enough if we get another winter like 2013/14. Thanks! I got a beautiful rosebush for Mother’s day, but I’ve never grown roses. Do I have to do something special to help it get through the winter? The poor thing has gotten eaten by caterpillars and had some sort of blight, but still has given me some beautiful yellow roses. I’m hoping it will still be around in the spring. Laurie, I love yellow roses! I had a yellow rose bush, but it got squished by a maple tree during the October Surprise Storm. This article has some fall tips for roses. http://www.buffalo-niagaragardening.com/2011/09/20/should-you-prune-roses-in-fall-or-spring-in-wny-hint-not-fall/ Unfortunately, the person quoted in the article has passed away, but you can get lots of great information from the Western New York Rose Society at http://wnyrosesociety.net/index.html I hope that helps. Marcia, I’m glad that you contacted the Western New York Rose Society directly and got information. Thanks for writing. Here’s a Cherry Blossom Festival update. Help us get the word around. Spring will come and we will be celebrating. This one should interest your followers: Sunday Jan 18, 2015, 4pm an Ikebana Workshop at RO 732 Elmwood in Buffalo. Instruction and supplies will be included. Dr Takako Michii of the Japan Culture Center will lead. The workshop will be concluded with Japanese food and drink across the street at Sato Elmwood. This one is a fundraiser for the Cherry Blossom Festival. Donation 50.00 minimum requested. buffaloblossoms@gmail.comfor more information and to register. correction: Help us get the word around. Spring will come and we will be celebrating. Trudy, I have added the Ikebana workshop to our Events page. Thanks. You can also email me with this kind of information at connie@buffaloniagaragardening.com. Hi, Connie, enjoyed your presentation yesterday at Gardens and Landscapes Day” in Jamestown, very informative. will subscribe to this neat online resource! Sara, thanks so much! Your presentation on native plants was so thorough. I learned a lot. I was looking to bookmark the hummingbird migration map, so I know when to be ready to put the feeders up (I know I’m anxious about it! Come on warm weather! )Is it just too early to find it on the site? Amelia, thanks for the question. There are a couple ways to search past articles. On the right hand side, you’ll see a list labeled Topics. You can click on any of those topics to see articles on that topic. Just above Topics is the search box. Click in the box and type one or more words, such as clematis, and you’ll get articles that best match your keywords. The article you’re looking for is this one: http://www.buffalo-niagaragardening.com/2015/05/05/20-ideas-for-mothers-day-in-western-new-york/ I hope that helps. You have got to be kidding with the capcha. It is ABSOLUTELY impossible to read. I must have tried 20-30 times to interpret it. I give up. Fran, I’m so sorry you had such difficulty with the Capcha. That can be so frustrating. And you did it 20 or 30 times?– That’s perseverance! Anytime you want to reach me, all my contact information is at the top of this page. I’ll email you directly and we’ll get this straightened out for you. Thank you, Connie! i found it (the groundcover) and will be looking for it at the nurseries. And i really appreciate your quick response! Blessings…. I was looking for a place to ask questions. I’m not sure if this is the right place? I’ve never seen this question asked before. I am wondering if it’s alright to water garden plants with water from our dehumidifier? Kristin, I’m not a gardening expert– I’m a writer by profession. I interview knowledgeable people in order to provide you with great articles on Buffalo-NiagaraGardening.com. So when someone asks a question I can’t answer, I post the question and rely on my readers to share their expertise. Would you like me to include your question in a future post? If so, what’s your last name and what town do you live in? Need to email Mr. David Clark directly if possible. Working on a project along with friends in Nashville, TN on gathering some tree foliage located in Balieze. How we can preserve the leaves to be shipped to the US. Thank you for any help. I’m a long time friend of Bev Leake and always joked with her about the plants for OP Plant really came from Eden, where real gardens grow. Anyway, the sidewalk garden the OPGC plants in front of Mangia each year is wonderful and has inspired me to do the same in front of the Eden Ale House now for a third year. I look forward to it each year and how I can make changes and make it better. Someday I’ll be adding drip irrigation maybe even have some friendly competition between Eden and OP. Gary, that sounds lovely. Email a photo of your garden to me and I can post it on our Your Photos page. My contact information is at the top of this page. Donald, are they giving compost away for free? Regarding thge lily leaf beetle, getting rid of the larva is also very helpful. The larva cover themselves in their feces (not a pleasant thought), however it does make them easy to spot. They can be found under the liily leaves. Just wipe them off with a paper towel. Instead of trying to pick the lily leaf beetle drop them into soapy water like with the Japanese beetle. Works well. The Buffalo Area Daylily Society and the Hosta Society is having their annual sale to the public, along with the Iris Society at the Botanical Gardens, Administration Bldg on Aug. 20th, 9-3 pm. I wondered why it wasn’t posted under “Events”. Carolyn, that was an oversight on my part. Thanks for pointing it out. I have now posted it on our Events page. If you mean a regular sweet potato that you buy in the store, it can be planted in either soil or water (suspend it half above the water by using tooth picks to hold it up) and will grow a vine. It’s not as decorative and lush as the ones you get from nurseries. Lyn, thanks for that tip. It is technically illegal in Niagara Falls NY, to grow your own vegetables, make compost or have livestock such as chickens. I would like to take action against this injustice, any ideas? I’m thinking of getting chickens and already planning on growing a garden, I have illegal compost, Shhhhhhh. Regarding growing vegetables in Niagara Falls,I woulod check with the Cornell Cooperative Extension in Niagara County. They might be able to be of help. Yes, that’s who am trying to reach, but Coutney Ruth Whiteside, you can contact them directly if you like. We have some bulbs which inadvertently did not get planted in the fall. With this thaw, can we plant them now for a spring bloom? You can plant them but they probably won’t bloom this year or may not grow at all. If the bulbs are dried out or have any rot they shouldn’t be planted. Good luck. Lyn, thanks for that reply. I figured it was better to get them in the ground than to try to save them for next year. I’m a budding urban gardener, in the city of Buffalo, and I’m looking for information about front yard vegetable gardens. After reading a few articles where people are being fined and possibly arrested and threatened to serve jail time, I’d like to know what vegetables I can grow legally in my front yard in the city, if any, so I don’t find myself in that predicament. I haven’t found anything from a Google search, if anyone has answers, please help, as we’re approaching spring fast. Please and thank you. Courtney Ruth, I checked with John Farfaglia of Cornell Cooperative Extension in Niagara County. He says that for sure you can grow your own vegetables in Niagara Falls. Is it illegal to compost? Maybe. There might be some rules about what you can or can’t do, probably so you don’t encourage rodents. Can you have chickens? Every municipality has different rules on this. He suggested checking with the city clerk. I hope that helps. Bridget, you’re the second person who has concerns about growing vegetables in a city. I haven’t heard anything about this. Can you direct me to the articles you have seen? Your question is specifically about being able to plant vegetables in your front yard. People generally plant flowers in their front yards and relegate their vegetables to the backyard, but there is a trend to mix vegetables in with ornamental plants. These folks in Lancaster have a grassless front yard with vegetables and ornamental plants mixed together. This gardener in Buffalo has herbs mixed in with ornamentals in her hellstrip, the area between the sidewalk and street. One thing to keep in mind, though, is soil contamination. For years we had lead in our gasoline, and that residue, along with salt and other chemicals, may be in that area. Although the risk of contamination may not be high, Farfaglia recommends using the hellstrip just for ornamental plants. Read more here. Just watched a 9:29 minute video of Robert Bracikowski constructing a cacti-succulent container arrangement. He used a Starfish succulent plant I really liked. However, researching the plant on Google, I couldn’t find the plant that looked like the one he used. Please help me find that Starfish plant. John, I have forwarded your question to Bob. I’m very upset that your articles condone the use of ROUNDUP weed killer. At the same time advocation for container plants that attract pollinators. With that mix you are inviting pollinators to their death. We need to find a better way to fight weeds with out damaging our environment and thus our future. Please use your talent to find us an organic way to combat pesky weeds. I have been battling creeping Charlie. And losing ! But by no means would I ever consider Round Up ! I’d rather live with Charlie. We need to eradicate the use of these terrible products before all the bees are gone. It’s not worth the picture perfect lawn in the long run. I’d appreciate an alternative, if you know of one. Thank you. You’re writing in response to the article on lesser celandine. My contact for this information was a Master Gardener. The first thing suggested is to dig up lesser celandine. Using Roundup is a second choice. When it comes to the use of herbicides (and pesticides), I suggest: First, don’t use them unless you really have to. Second, make sure you use them properly. I totally agree that we have to make sure we don’t damage our environment. Different gardeners may have different levels of what constitutes the necessary use of herbicides and pesticides. With lesser celandine, it’s not just a question of having a picture-perfect lawn. It’s also a question of keeping this very invasive plant out of natural areas where it can choke out native plants. It can spread from your lawn to woods and fields. The only time I have mentioned Roundup in any articles in Buffalo-NiagaraGardening.com has been in connection with lesser celandine. I don’t think we should take the use of herbicides lightly. Yes, we want alternatives, which is why Carol Ann Harlos said you might try solarization as a way to kill the tubers of lesser celandine. (You cover the area with black plastic in an effort to try to cook the roots.) It might or might not work. If I hear of any other solutions, I will definitely share them. Yes, I am struggling with creeping Charlie in my yard, too. The Master Gardeners publish WNY Gardening Matters every month, and they promised me they would do something on creeping Charlie. Look for that in a coming issue. When they publish, I share it with my readers. And if you hear of better solutions, please let me know! Have you heard of any way to deter pesky little birds from nesting in my hanging planters? Carol, no I haven’t. My best suggestion would be to chase them out before they get their nest built. Using bird netting to cover the planters, loosely so the plant has room to grow, will do the trick. It’s invisible from a distance and the birds can’t get into the planter. Is anyone else having a major problem with white flies? We had a problem last year where they were on some of our calibrochia (million bells)annuals and we lost a few. We had them again this year and lost quite a few that were in pots. We have been putting Neem oil on them which has controlled them somewhat. do they overwinter in the area that they were seen to reappear the following year? Thanks Connie for the info. Looks like I’m in it for the long-haul With this pest! Thank you for featuring our day in one of your events. Happy National Mason Jar Day! The event sounds like a lot of fun! I am representing the Smallwood GArden Club. We are having our annual Plant Sale May 19th. Could you post the following on your event calendar. Please?! Plant Sale Fundraiser hosted by the Smallwood Garden Club. Will include annuals, hanging baskets, perennials donated by members, creatively potted planters, hypertufa and much more. Come early. Knowledgeable gardeners on site. Come join the fun!! And get your garden ready for SUMMER!! Faith Church of Christ, 1300 Maple Rd., Williamsville, NY May 19th 9am to 1pm. Beth, sure! I have posted your event. Anytime you want me to add an event, you can email it to me. See more information on sending events here. A few months ago you wrote about a dead spot in the lawn that is horseshoe shaped. I now have this and can’t find the article you wrote with the solution,. Sharon, was it the article about lesser celandine? See the article here. I don’t know if you can open this picture. The lawn looks like someone took grass killer and sprayed it in a half circle. The article showed a picture and said you had to dig down 2 feet to get rid of it. I should have printed it when I saw it. The lawn is grass, except for this dead part. Sharon, no, I can’t open that photo. Where did you find the photo? My nephew, niece, and I ordered a worm bin so we can have the worms do their “work.” Do you know where we can get Red Wigglers locally in Buffalo? I would prefer to source locally instead of ordering them online. I boiled spinach and now have a pot full of green water. Could I use this in my garden? Is there any nutrients for plants in this? I often use cooled boiled water on my plants. I’m not sure how much nutrient value it has, but it certainly wouldn’t hurt your plants. And if I have an entire pot of water, like from corn, I usually use it to water my indoor plants. Then I don’t have to fill my watering can multiple times. (I have several large containers.) If you reuse kitchen water on your plants, you’re saving resources. The kitchen water doesn’t have to go through the sewer system to be cleaned, and you’re saving a gallon or so of water that you might have had to take out of the faucet or hose to water plants. While I don’t know how much reusing cooking water helps plants, maybe it helps a little, and it helps in so many other ways. Go for it! My zucchini plant leaves were wilted terribly, I assumed it was the heat. I watered regularly, but let things dry up too so there was no rot. The plants are nearly dead. I never have luck with zucchini (the easiest plant to grow!!) what went wrong?? Laurie, I can’t grow zucchini either. This is a great question to ask the Master Gardens in your county. I hope that helps. I spoke with a farmer at the market today, he said there is a grub that gets into the roots and bores up the plant. If I cut into a step I would see it was hollowed out. Not much can be done. Laurie, since so many people can grow zucchini easily, I let them do it. Sometimes I get zucchini from friends, sometimes I buy it at farmers markets. You can big ones there, too, which I like. What does grow easily for me is garlic. You might try that. Get some information on growing garlic here. Can someone tell me why my Dahlias are full of small buds, but not developing into blooms? Will appreciate advice. Thx! Whenever anyone has a question along the lines of “what’s wrong with my plant?” I always suggest they contact the Cornell Cooperative Extension office in their county. I hope that helps. I am moving and want to take some of my garden with me. Tons of Hostas.hydrangeas ,rose of Sharon and roses. Will they take if planted now?How do I dig them up? Also I know I can split hostas, but how? And I plan to take my peonys and mums too. Patricia, this is a good question to ask the Master Gardeners in the Cornell Cooperative Extension office in your county. I hope that helps. Good luck! Hello. I love Bougainvillea and have been failing to get cuttings I buy from a reputable seller in Spain. I have read your articles about cinnamon and aspirin with interest. I started again with some new cuttings about four or five weeks ago. Only one of eleven has sprouted and this is now showing signs of mildew. Is it too late to take the cuttings out of the soil and into water, or should I order more cuttings? Ordinarily Bougainvillea doesn’t respond well to overwatering but could it help to remove the stems from the soil and soak them in an aspirin solution. Then dip them in cinnamon before replanting? Jackie, this is a question you should ask the Master Gardeners in your county. I hope that helps. Thanks. I’ll try and get in touch with them. Hi. I got an email that linked to you saying there was another post. There wasn’t. Have I missed it? There was a comment posted here. If you previously posted a comment here, and you didn’t unclick a certain box when you left a comment, you will be alerted every time a new comment is posted. If you don’t want an email every time someone posts a comment here, let me know and I can take you off that list. You’ll still be on the list that tells you when there’s a new article. Hello Connie. I am in south East England. I just wanted the posts that were relevant to my original question about Bougainvillea. I have looked and I seem to be alerted when someone puts another post for you up. Will Lesser Celadine hurt roses? Lori, lesser celandine doesn’t attack any certain plants; it crowds out other plants. You can read more about lesser celandine here. Hi Connie. Smallwood Garden Club Plant sale is coming up in May again and we’d like to get on your event calendar again. Can you remind me what I need to do, please ? Thanks. Love this newspaper. Hi Beth, see the guidelines on submitting events here. You can always find the guidelines under the “Contact Us” button at the top of the page, and under the button “About” at the bottom of the page. If your meetings are open to the public, you can send those to me, too. And if you have your meetings set up ahead of time, you can send them to me all at once. That actually makes it easier for me. And thanks so much– I’m glad you enjoy Buffalo-NiagaraGardening.com! I have a cactus potted indoors that I’ve had for 15 years now. It has never been outside. This week I noticed sugar ants all over the pot, the dirt and the windowsill. I tried soaking the pot, but the ants keep appearing. I am very worried that I will hurt my cactus while trying to solve this problem. I have spray ant killer and diazinon crystals, but I’m not sure if I should use them. I searched online, but the advice was for either outdoor succulents or regular houseplants. Any direction would be so very appreciated. Lisa, I interview gardening experts for Buffalo-NiagaraGardening.com, but I’m not a gardening expert myself. Whenever you have a question about what a particular plant is, what a particular insect is, or what is wrong with your plant, it’s best to contact the Master Gardeners in your county. You can find the contact information here. I hope that helps. my parents grave is covered in lesser celandine unfortunately i am unable to dig it up as suggested is there a solution I can spray on the area. Judith, you can get more ways of dealing with lesser celandine in the article “Get rid of lesser celandine– It’s pretty, but it will take over your lawn.” Unless the graves are on your private property, please don’t spray any pesticide. Check with the owners of the property to see if they will give you permission to use an herbicide. If they do give you permission and you choose to use the herbicide, make sure you follow the directions carefully. I hope that helps.